NEW ORLEANS, LOUISIANA (December 30, 2015) Marche’ Amerson scored 11 points and pulled down seven rebounds, but it was not enough as the Houston Cougars dropped a 70-48 decision to the Tulane Green Wave at Avon B. Fogelman Arena in Devlin Fieldhouse in New Orleans, Louisiana on Wednesday, December 30, 2015. 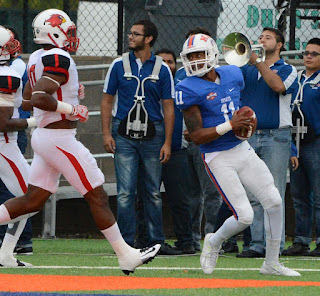 The game was the first American Athletic Conference game for both teams and their final game of 2015. The Cougars trailed 38-16 at the half; shooting 23% and improved to 40% in the second half. They shot 32% (19-60) from the field, 17% (3-18) from three-point range, and 47% (7-15) from the line in the final game stats. The Cougars' bench scored 24 points in the effort, along with 12 second-chance points. Amerson’s seven rebounds was a season high for the senior from Bryan, Texas. Chyanne Butler scored eight points for the Cougars, while teammates Jacqueline Blake and Jessieka Palmer added seven points each. Houston head coach Ronald Hughey discussed the Houston effort with the media at the post-game press conference. For the Green Wave, Leslie Vorpahl scored 25 points; a season high for the junior guard who played her high school ball at Winston Churchill High School in San Antonio, Texas. Senior forward Tierra Jones got her second double-double of the season with 12 points and 13 rebounds. Kolby Morgan also scored 12 points for Tulane. Next up for the Cougars, who fell to 4-8 for the season, will be the Temple Owls in a 2 p.m. CST matchup in Houston on January 2, 2016. The Owls are 7-4 for the season and 1-0 in conference play. The Green Wave, as result of the win over Houston, are 10-3 for the season, will next play Memphis on January 3, 2016 on the road. 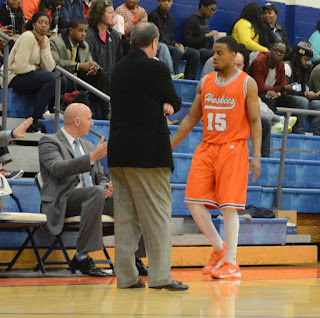 HOUSTON, TEXAS (December 29, 2015) The HBU Huskies took a 13-point lead into the locker room at halftime and poured it on in the second half as they downed the Ecclesia Royals by the score of 101-47 in front of 501 fans at Sharp Gym in Houston, Texas on Tuesday, December 29, 2015. The win was their third 100-plus point game this season and raised their record to 5-7. The Royals, who play in the National Christian College Athletic Association, fell to 8-5. The Huskies had five players score in double figures with 13 players contributing to the scoring. Starting guard Josh Ibarra got his third double-double of the season; scoring 10 points and pulling down 15 rebounds. The 15 rebounds were a season high for Ibarra. Fellow starting guard Anthony Odunsi led the HBU scoring with 17 points, while starting forward Colter Lasher tallied 15 points. Reveal Chukwujekwu added 13 points in the winning effort with Trey Patterson contributing 12 points. HBU shoot 58% in the game after shooting 48% in the first half. The 61 second half points were aided by their 69% shooting. The Ramblers were led by Jarvis Green, scoring 11 points off the bench. 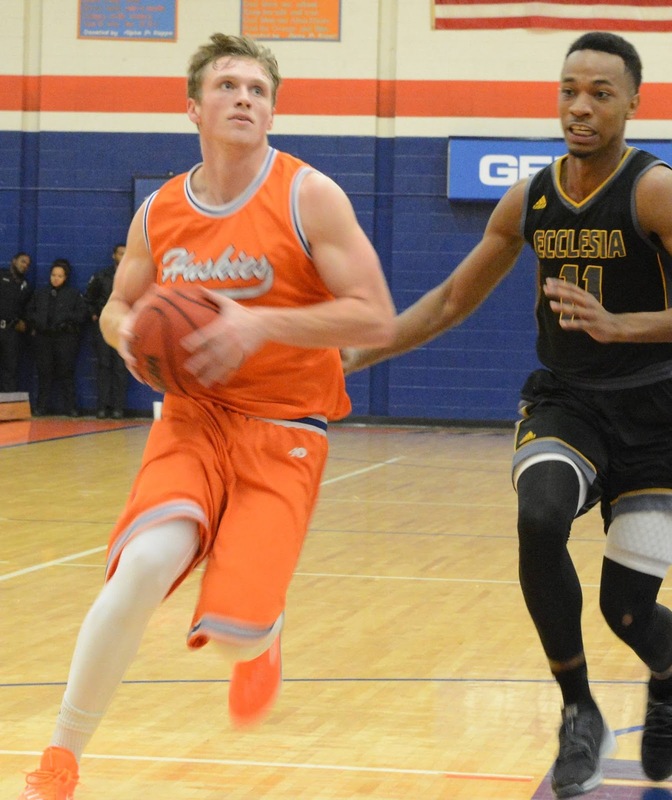 David Gaut pulled down seven rebounds for Ecclesia in their loss. They shot 23% from the field and a mere 17% from the free throw line. 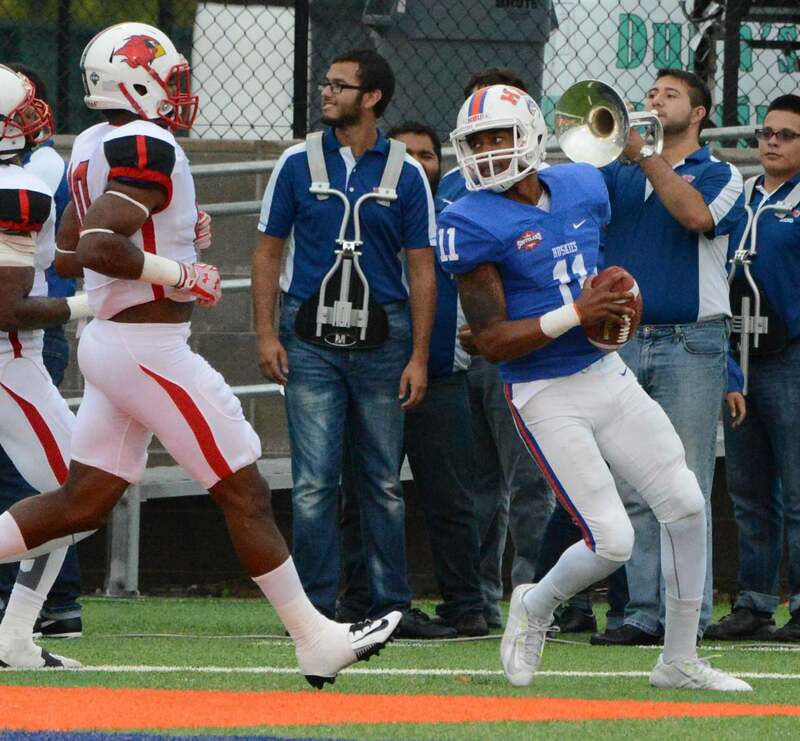 HBU will kick off their Southland Conference schedule in their next game, on January 2, 2016 against Northwestern State in Natchitoches, Louisiana. Head coach Ron Cottrell talked about HBU’s upcoming conference schedule after the win against Ecclesia. "Everything we have done to this point in our non-conference schedule has been to prep up for the Southland Conference race. This is a tough conference and one that is filled with terrific athletes and coaches. I have a lot of respect for every program in our league. On Saturday, we go to Northwestern State, our first trip there as a conference opponent. They will be a different task for us, but we are excited to get going. I think our guys are as prepared as we need to be." 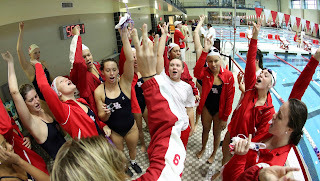 Game time against Northwestern State is set for 3 p.m. CST. 76-49 win over the Nicholls Colonels. 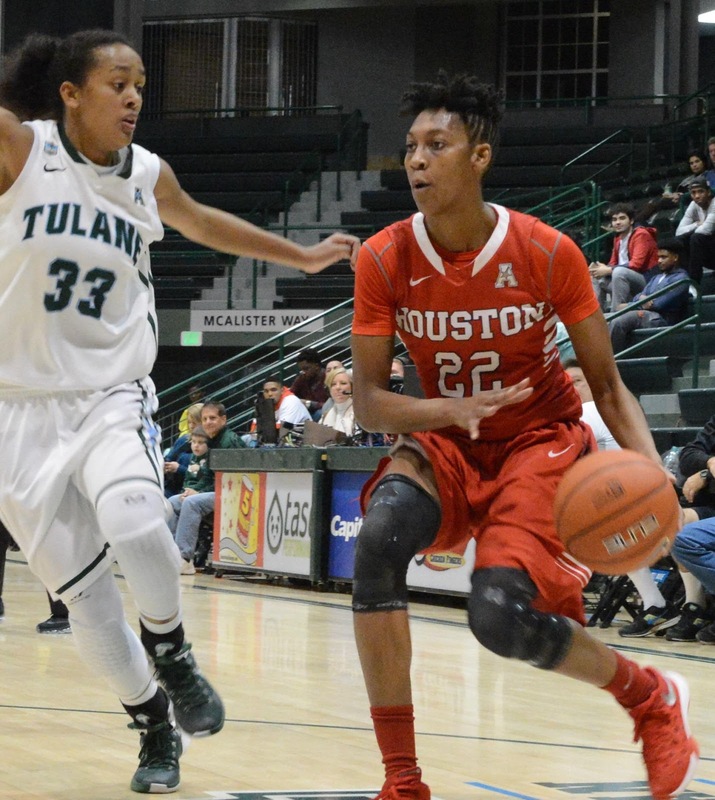 HOUSTON, TEXAS (December 28, 2015) In a game that saw 35 defensive rebounds by the Cougars, Houston raised their season record to 10-2 with a 76-49 win over the Nicholls Colonels on Monday, December 28, 2015 at Hofheinz Pavilion. Three Cougars scored in double figures and one player contributed with 10 assists. Houston jumped out to a 31-20 lead at halftime, and poured it on with 45 points in the second half. Starting guard Devonta Pollard led the Cougars with his third highest point total of the season; 18 points. The senior from Porterville, Mississippi also tallied eight rebounds, four at each end of the court, while shooting 7-of-8 from the field and 4-4 from the line. Damyean Dotson scored 15 points and pulled down eight rebounds, while Rob Gray, Jr. added 14 points and five defensive rebounds. Pollard, who saw 27 minutes of playing time, added three assists, two blocks and one steal to his season stats. The Cougars scored 27 points off the bench with Eric Weary, Jr. and Wes Van Beck contributing eight points each and Danrad Knowles chipping in six. Houston tallied 20 second chance points and shot 46% from the field in the winning effort. For the Colonels, Quinton Thomas came off the bench to score 15 points, with Ja’Dante’ Frye and Liam Thomas added nine points each. With the loss, Nicholls falls to 4-9 in their last game of 2015 and prior to the start of their conference schedule against Lamar. 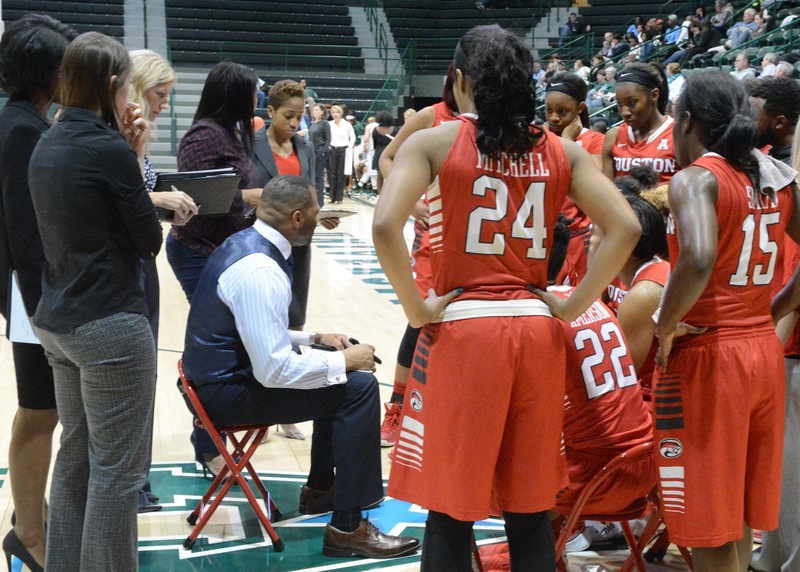 Houston will finished off 2015 on the road with their first conference game against USF on December 30. HOUSTON, TEXAS (December 21, 2015) Post-game statement by head coach Tina Langley after the Rice Owls drop a 69-66 overtime decision to Texas Southern University in women's basketball on Monday, December 21, 2015. HOUSTON, TEXAS (December 20, 2015) Houston Cougars' starting forward Seritia Hawkins get her first double-double of the season, but her performance was not enough to curtail the offensive punch of The University of Texas Rio Grande Valley as they dropped a 55-45 decision at Hofheinz Pavilion in Houston on Sunday, December 20, 2015. The freshman guard, who played her prep ball at Southmoore High School in Moore, Oklahoma, scored 13 point and pulled down 11 rebounds. Teammate Tyler Gilbert scored 12 point off the bench in the Cougars’ effort. The Cougars held a 9-5 lead after 10 minutes of play, with turnovers playing a key role in the score. 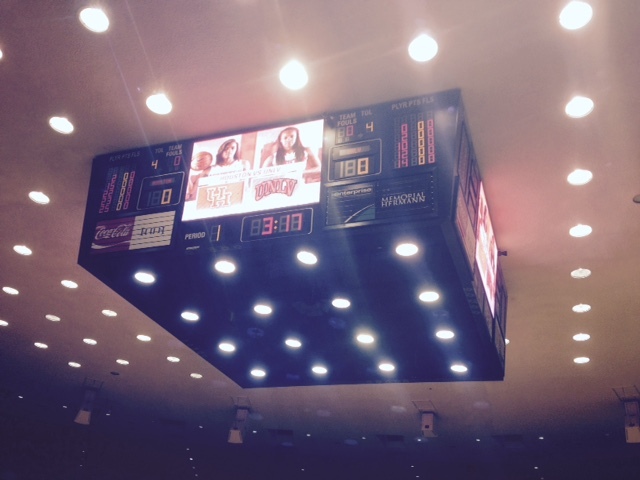 UTRGV had five, while Houston posted eight. Houston shot 40% from the field, but the Vaqueros could only manage 16%. Both teams picked up the pace in the second quarter with the score being tied at 23 at halftime. Houston fell to 38% in shooting with UTRGV picking theirs to 33%. Turnovers continued to play a part of the game with both teams adding six more in the second quarter. The third quarter saw the Vaqueros score nine points to jump ahead of the Cougars by the score of 42-36. The fourth quarter was the clincher for UTRGV as they outscored the Cougars 13-9 to take the game. The Vaqueros had two players scoring in double figures. Starting guard Shawnte’ Goff scored 16 points, while starting forward Hild Kjartansdottir tallied 14. With the loss, the Cougars fall to 4-7 for the season, while UTRGV goes to 7-6. Houston will have 10 days off to prepare for the Tulane Green Wave on December 30, 2015 in New Orleans, Louisiana. Rio Grande Valley will face Evengel on the same date at home. HOUSTON, TEXAS (December 19, 2015) The Houston Cougars raised their season record to 8-1 as they downed Eastern Illinois by the score of 81-65 at Hofheinz Pavilion in Houston on December 19, 2015. The second round of the Global Sports Classic saw three Cougars scoring in double figures. Starting guard Ronnie Johnson scored 25 points in the effort; with Damyean Dotson and Galen Robinson, Jr. scoring 16 and 11 points, respectively. 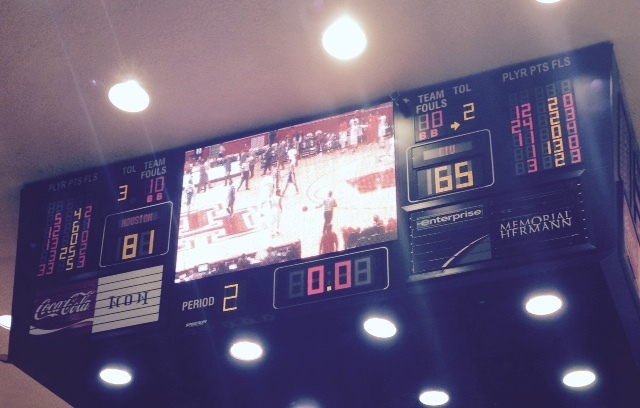 Cornell Johnson score 19 in the losing effort for Eastern Illinois. The Cougars will face Grand Canyon University in the semi-final round of the Classic on December 21, 2015 in Las Vegas, Nevada. HOUSTON, TEXAS (December 15, 2015) Two field goals were all they could manage on Sunday night and that was not enough for the Houston Texans, as they fell to the New England Patriots by the score of 27-6 at NRG Stadium in Houston on December 13, 2015., With the loss, the Texans fall to 6-7 for the season, but remain in a first place tie for the lead in the AFC South with the Indianapolis Colts. The Patriots jumped out to a 7-3 lead after 15 minutes with a Tom Brady short pass to wide receiver Keshawn Martin for the touchdown. Stephen Gostkowski split the uprights for the extra point. The Texans added a 37-yard Nick Novak field goal with 2:42 left in the first quarter. The Texas and Patriots traded field goals in the second quarter with Gostkowski scoring from 43-yard out at the 12:18 mark for New England. Novak added the second Texan field goal with 9:30 remaining in the half. Novak’s 45-yard kick closed out the scoring for the Texans. With 19 seconds left in the half, Brady hit tight end Rob Gronkowski with a one-yard pass for the touchdown. Gostkowski again added the extra point to give the Patriots a 20-6 lead at the half. The Patriots added another touchdown in the fourth quarter on a two-yard run up the middle by running back James White and Gostkowski’s extra point. Offensively, Brady was 22-of-30 in the air for 226 yards and two touchdowns. Texans’ quarterback Brian Hoyer completed 11-of-12 passes for 155 yards before he left the game with a concussion. T.J. Yates replaced Hoyer as the signal caller and completed one pass for four yards. 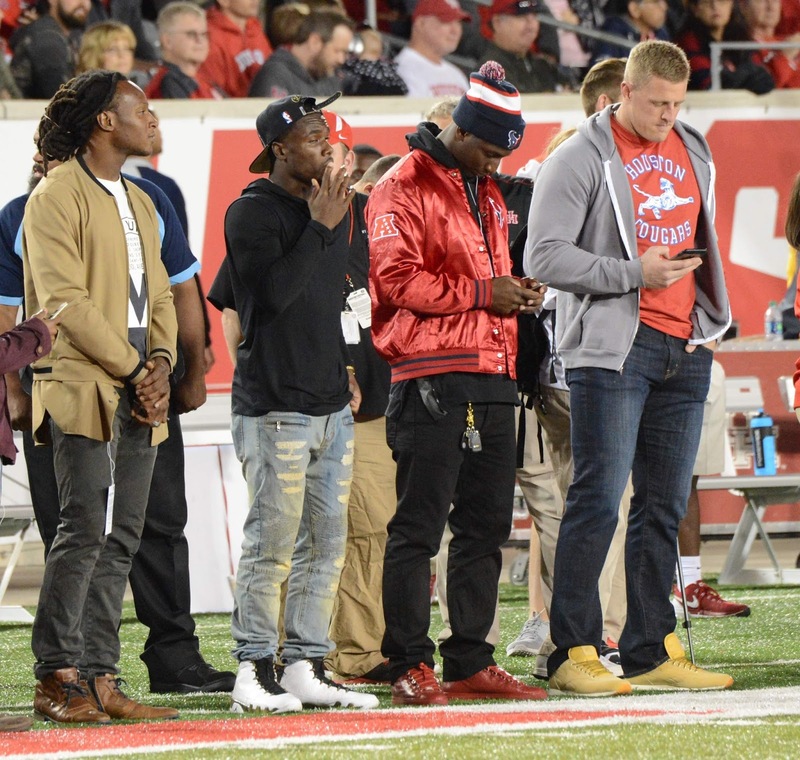 He was also questioned about defensive end J.J. Watt playing with a broken hand. 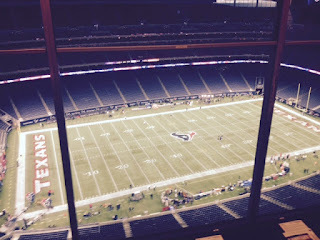 Next up for the Texans is a Sunday, December 20, 2015 match-up against Indianapolis. The game will kick off at 12 noon CST at Lucas Oil Stadium. HOUSTON, TEXAS (December 12, 2015) After jumping out to a 34-30 halftime lead over the Lady Rebels, the Houston Cougars could not contain their offensive power late in the game, and fell to UNLV by the score of 63-30 at Hofheinz Pavilion on Saturday, December 12, 2015. The Lady Rebels outscored the Cougars 17-11 in the final quarter to send the Cougars to 3-6 for the season. 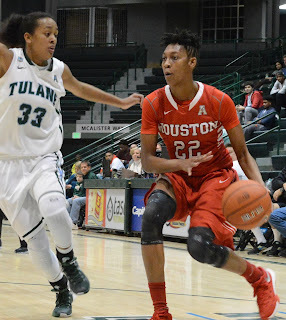 For the Cougars, Jessieka Palmer came off the bench to lead Houston’s scoring with 16 points. Starting guard Kierra Graves added 10 in the Cougars’ effort. Three players scored in double digits for UNLV; with Brooke Johnson and Dakota Gonzalez scoring 17 points and Nikki Wheatley added 16. 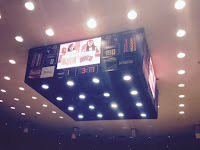 The Lady Rebels led in rebounds (46-28) and assists (12-11) while both teams had eight steals. Next up for the Cougars will be a Thursday, December 17 game against Texas A and M-Corpus Christi on the road. Tip-off is set for 7 p.m. CST. COPPERAS COVE, TEXAS (December 3, 2015) The Hoffpauir Auto Group C.H.A.M.P.S. Heart of Texas Bowl will now be powered by Wellness49.com on December 5th, 2015. The announcement was made today by bowl committee administration. 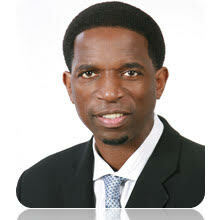 Wellness49.com is led by Founders A.C. Green and Dr. Tony Serna. The group recently opened a rehabilitation facility in Killeen, Texas. They already have a practice in Sacramento, California and work with Kings of the National Basketball Association. The practice also donates 25% of its’ proceeds to Gridiron Heroes. Green will also be available for autographs on a limited edition 8x10 print suitable for framing. Green was a four-year star at Oregon State University, where he finished second in school history in rebounding and fourth in scoring. The Los Angeles Lakers, fresh from winning an NBA championship, selected Green in the first round as the 23rd overall pick in the 1985 NBA draft. Green led the Lakers in rebounding for six of his eight years on the team. 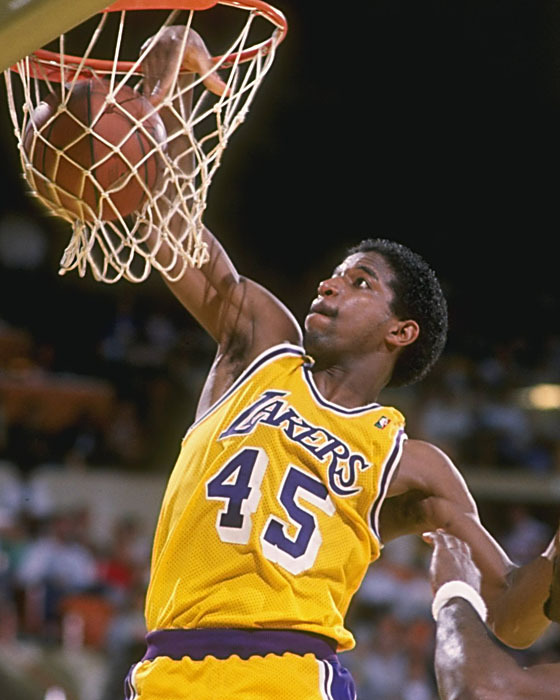 Led by Magic Johnson, James Worthy and Kareem Abdul-Jabbar, Los Angeles captured back-to-back titles in 1987 and 1988, Green's second and third years with the squad. In the two campaigns combined, he averaged 11.1 points and 8.2 rebounds while shooting better than .500 from the field. Green also reached the NBA Finals with Los Angeles in 1989 and 1991. Green was named to the NBA All-Defensive Second Team in 1988–89, was voted a starter on the 1990 Western Conference All-Star Team and finished fourth in the league in field goal percentage in 1992–93 at .537. Green also played for the Phoenix Suns, and Dallas Mavericks of the NBA. He is also known as the Iron Man of the NBA. Green's consecutive games played streak began on November 19, 1986, when the Los Angeles Lakers defeated the San Antonio Spurs in San Antonio. The streak ended on April 18, 2001 when the Miami Heat defeated the Orlando Magic in Orlando.
" WHOLE BODY CRYOBATH IS BASED ON THE GENERAL PREMISE THAT THE HUMAN BODY IS A COMPLETELY SELF-REGULATING SYSTEM AND THE BEST MECHANISM FOR DIAGNOSING ITS OWN DISORDERS. THEREFORE, THE MAIN GOAL OF WHOLE BODY CRYOBATH IS TO STIMULATE THE BODY TO REGAIN ITS OWN ABILITY TO RECOVER FROM ITS OWN DISORDERS." The visible benefits of Whole Body Cryotherapy are bringing considerable attention among athletes around the world, and now it´s available for you right here in Killeen, Texas. Wellness49.com invites all area athletes to “come and freeze” with the likes of AC Green, LeBron James, Floyd Mayweather, Jr. and hundreds of other professional athletes. The 15th-Annual C.H.A.M.P.S. Heart of Texas Bowl will take place December 5th at Bulldawg Stadium. The C.H.A.M.P.S Heart of Texas Bowl has announced that the teams playing in this year's bowl game are as follows. The Heart of Texas Bowl features two major bowl games each year in December at Bulldawg Stadium in Copperas Cove Texas. These highly prestigious bowls match two top junior colleges from the National Junior College Athletic Association with the second bowl game pitting two top four year schools from the National Collegiate Athletic Association Div. II, one of these from the Lone Star Conference playing another top national team. A team from the NJCAA Texas region and the Lone Star Conference are guaranteed bids. 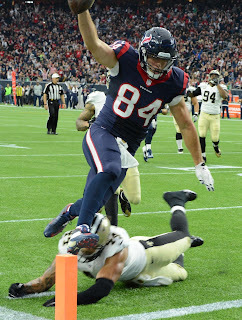 HOUSTON, TEXAS (November 29, 2015) The Houston Texans extended their 2015 winning streak to four as they downed the New Orleans Saints by the score of 24-6 at NRG Stadium in Houston on Sunday, November 29, 2015. With the win, the Texans move into a tie win the Indianapolis Colts for first place in the AFC South with 6-5 records. Houston got the ball for their first possession of the game and quickly marched 70 yards down the field to conclude with quarterback Brian Hoyer throwing his fourteenth touchdown pass of the season. His scoring throw was to tight end Ryan Griffin who scampered around the right side into the end zone. Nick Novak added his obligatory kicking extra point to give the Texans a 7-0 lead with 6:47 remaining in the first quarter. Hoyer was seven-of-seven in the air on the drive. They added they second touchdown of the game when Hoyer connected with wide receiver Cecil Shorts on a three-yard pass for the score. Novak again added the extra point to increase the Texans’ lead to 14-0 with 1:29 left in the first quarter. The Saints added a 30-yard field goal by Kai Forbath to make the score 14-3 with 6:31 left in the first half. He added the second field goal of the game for the Saints with 1:17 remaining in the half. The field goal was 57 yards and is concluded a 41-yard, seven play drive to close out the first half. In the third quarter, the Texans added a touchdown and extra point at the 11:35 mark on a handoff up the middle to Alfred Blue for eight yards, with Novak added the extra point. They added a 34-yard Novak field goal at the 6:09 mark to close out scoring for the game. Hoyer went 21-of-27 for two touchdowns, while Saints quarterback Drew Brees was 25-of-44 for 228 yards. Blue rushed 16 times for 77 yards while Griffin caught four passes for 72 yards. COPPERAS COVE, TEXAS (November 17, 2015) The C.H.A.M.P.S. Heart of Texas Bowl has announced, via a press release on Monday, November 16, 2015, two of the four teams to play in their fifteenth annual classic. The two NCAA Division II teams that will take to the field at Bulldawg Stadium in Copperas Cove, Texas on Saturday, December 5, 2015. will be Eastern New Mexico University and Arkansas Tech University. The Eastern New Mexico Greyhounds, from the Lone Star Conference, finished the regular season with a 6-5 record and a 3-3 conference record. The Arkansas Tech Wonder Boys, who will represent the Great American Conference, bring an 8-3 season and conference record into the bowl game. The post-season trip will be the first for the Greyhounds since they began play in the NCAA. Their last post-season appearance was in 1983, when they played Mesa State in the NAIA playoffs. The Wonder Boys will be making their first bowl appearance since 1968, when they faced the Arkansas Intercollegiate Conference (AIC) All-Stars in the AIC Bowl. In 1960, they played Texas A&I, now known as Texas A&M-Kingsville, in the Great Southwest Bowl in Grand Prairie, Texas. 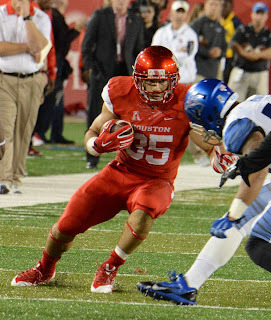 ten yards in Houston's win over Memphis. HOUSTON, TEXAS (November 14, 2015) With a one-yard rushing touchdown by quarterback Kyle Postma and an extra point by Ty Cummings with 1:27 remaining in the game, the No. 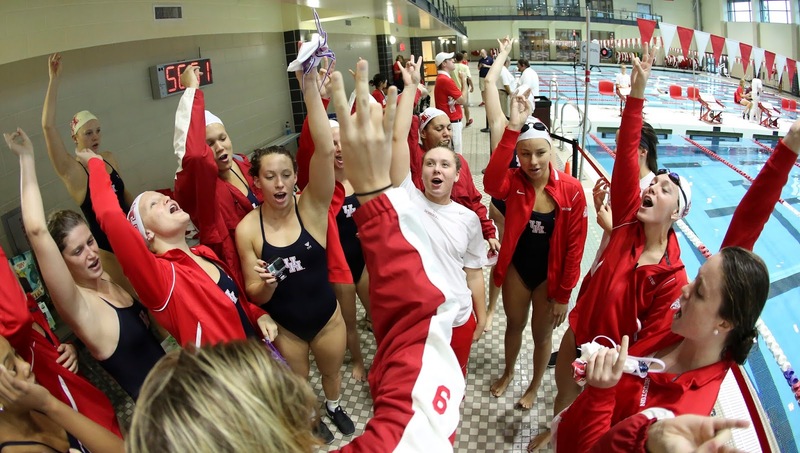 16 Houston Cougars remained unbeaten and downed the No. 25 Memphis Tigers by the score of 35-24 at TDECU Stadium in Houston on Saturday, November 14, 2015. The victory was the tenth of the season for the Cougars and first year head coach Tom Herman. With the win, the Cougars remain at the top of the American Athletic Conference West Division tied with Navy with 6-0 records. The Tigers drew blood first at the 10:32 mark in the first quarter when the Houston defense stalled a 49-yard Memphis drive as they had to settle for a field goal. Jake Elliott’s kick gave the Tigers an early 3-0 lead. They added seven additional points 1:06 into the second quarter on a 38-yard pass from Paxton Lynch to Alan Cross to cap an eleven-play drive. Elliott added the kicking conversion to increase the Tigers’ lead to 10-0. Elliott added three additional point to the Tigers’ total with a 29-yard field goal at the 8:46 mark in the second quarter. Memphis added another touchdown and extra point with 1:52 remaining in the first half with a 61-yard pass from Lynch to Doroland Dorceus and another extra point by Elliott. Houston responded 75 seconds later with a touchdown and extra point of their own on a pass from Postma to Linell Bonner and a Cummings kicking conversion. The Cougar score closed out the first half with Memphis leading 20-7.
action between Houston and Memphis. Houston came out after halftime, taking possession of the ball in the second half and quickly scored on a seven-yard carry into the end zone by Kenneth Farrow and another kicking extra point by Cummings. Memphis came back four minutes later to add seven points to their total for the evening on a six-yard run by Dorceus and another Elliott extra point. With the final fifteen minutes to play in the game, Memphis held a 27-14 lead. Nine seconds into the fourth quarter, the Tigers capped a 12-play, 68-yard drive with a 25-yard run by Tevin Jones to take a 34-14 lead. At that point, the game was all Houston as the Cougars ripped of 21 consecutive points to secure the win. Farrow carried the ball the final 10 yards of a 75-yard drive with 12:56 remaining in the game to cut the Tiger lead to 13. They scored again seven minutes later on a one-yard run by Javin Webb. Postma closed out the 21-point scoring run with the seven-yard quarterback keeper touchdown Cummings added the kicking extra points on the final three touchdowns. Before leaving the game with an injury, starting quarterback Greg Ward, Jr. was 5-of-11 for 60 yards. Postma, who came into the game with 1:21 left in the second quarter completed 21-of-33 passes for 236 yards and one touchdown. He also carried the ball six times for 49 yard and one touchdown, including a 22-yard romp on a second and ten play in the fourth quarter. The 34 points by Memphis was the most allowed by the Houston defense this season. With two regular season games remaining, the Cougars will next hit the road for a November 21 matchup against UConn. 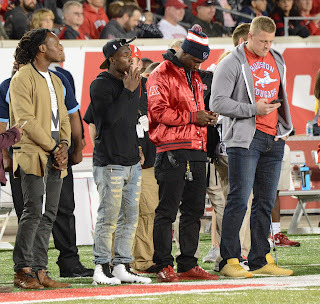 They will return to TDECU Stadium on November 27 for their final regular season game against No. 25 Navy. The Midshipmen are currently 6-0 in conference play with a 55-14 win over the SMU Mustangs on Saturday, November 14. They will next play the Tulsa Golden Hurricane on Saturday, November 21. NEW CANEY, TEXAS (November 13, 2015) After having an 80-yard kickoff return called back for a penalty, the No. 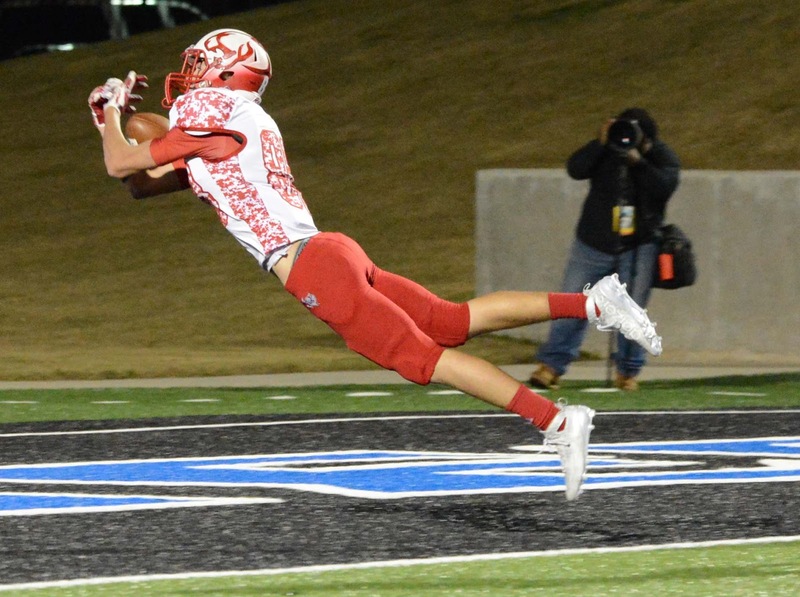 2 Crosby Cougars promptly scored on their first play from scrimmage and used a 35-0 halftime lead to down the Lumberton Raiders by the score of 42-13 at Texan Drive Stadium in the Houston suburb of New Caney on Friday, November 13, 2015. With the win, Crosby moved to 11-0 in 2015 and will face Fort Bend Ridge Point at NRG Stadium on Saturday, November 21, 2015. The Cougars’ first score scored 26 seconds into the game when Craig Williams took the ball from quarterback Tristan Cotton and quickly ran 91 yards down the left side for the touchdown. Kicker Juan Ochoa kicked the first of his six extra points to give the Cougars a 7-0 lead. A little more than two minutes later, Trevian Edwards caught a Cotton 32-yard pass for Crosby’s second touchdown of the game. Williams added another touchdown at the 6:32 mark in the first quarter secure a 21-0 lead after 12 minutes of play. Crosby added two more touchdowns in the second quarter on another run by Williams at the 8:19 mark and a Cotton to Jordan Hill 31-yard pass with 4:55 remaining in the half. Crosby scored an insurance touchdown late in the third quarter on a three-yard run by Sherman McGee. Lumberton was finally able to get on the scoreboard in the fourth quarter on a 11-yard run by Timothy Rhodes and a one-yard run by Caleb Thomas. Crosby will next face Fort Bend Ridge Point with a 5:30 p.m. match-up on Saturday, November 21, 2015 at NRG Stadium. Ridge Point downed Port Lavaca Calhoun by the score 42-35 in bi-district action. PROVIDENCE, RHODE ISLAND (November 2, 2015) Junior Steven Taylor has been named the American Athletic Conference Defensive Player of the Week, as announced early Monday morning, November 2, 2015 via a press release from The American Athletic Conference Department of Communication. The 6-1, 225-pound outside linebacker for the Houston Cougars received the honor after his outstanding performance in Houston’s 34-0 win over the Vanderbilt Commodores on Saturday, October 31, 2015. 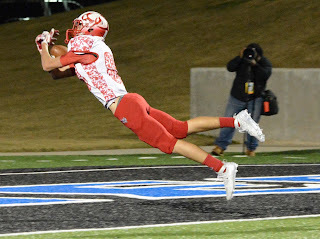 Taylor, who played his high school football for Cedar Hill (Texas) High School, returned an interception 25 yards to begin a drive that resulted in a Houston touchdown. In addition, he tallied 12 tackles against Vanderbilt, seven of them solo tackles and forced one fumble. He had seen action in eight games for the Cougars in 2015 and has registered 42 solo tackles and 47 assisted tackles. He has three sacked to his credit for a total loss of 28 yards. 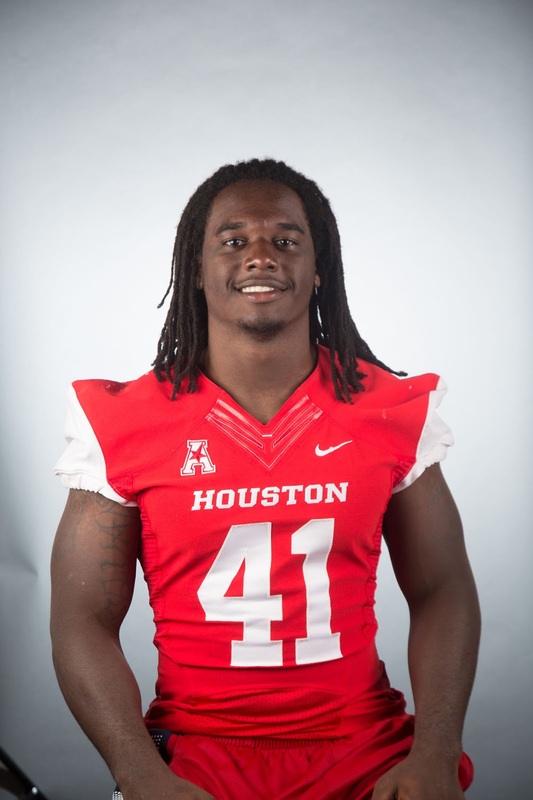 He currently leads the American Athletic Conference in sacks (8.0) and tackles for loss (3.0). He has a career best of 16 tackles against Tulsa in 2015 and has twice tallied four tackles for a loss. His three-year career total to date includes 226 tackles, with 119 of them solo affairs, in 33 games. He has registered 15 sacks for a total loss of 121 yards and 32.5 tackles for a loss for 156 yards. Houston had four regular season games remaining, with their next game on Saturday, November 7, 2015 against the Cincinnati Bearcats, with a 2:30 p.m. kickoff at TDECU Stadium in Houston. They follow the Cincinnati game with a Saturday, November 14, 2015 match up against No. 15 Memphis. The Cougars are currently ranked No. 18 in both the AP and Coaches Polls.